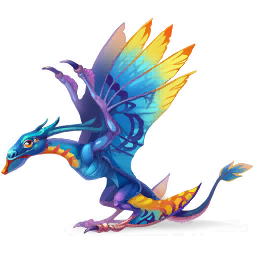 Dragons World: Blue Winged Dragon! The fine-boned Blue-Winged Dragon inhabits a wider area than almost any other dragon. Its dynamic profile, large wings, and muscular physique allow it to reach blistering speeds!